ANZ has broken ranks with American Express and is closing down its extensive suite of AMEX + Visa Qantas Frequent Flyer and ANZ Rewards cards to become standalone, single-card Visa products. The bank is no longer accepting applications for new American Express cards, although existing customers can continue to spend on both their ANZ American Express and ANZ Visa cards until August 5 2017. That's the use-by date for your ANZ AMEX plastic, after which the cards – including Black, Platinum, Travel Adventures and basic cards – will be disabled and no longer accepted for purchases. As part of the shake-up, ANZ is also adjusting the number of frequent flyer points that can be earned per dollar spent across its surviving Visa cards for both new and existing cardholders, with some welcome improvements for higher spenders with up to one frequent flyer point per dollar spent. The changes are in anticipation of the Reserve Bank’s reforms to credit card ‘interchange fees’ from July 1 2017, which severely cut the revenue that banks can earn from each transaction: leaving fewer funds available for banks to purchase frequent flyer points for customers. "While we have had a very successful partnership with ANZ, we understand the decision (is) in the context, and as a consequence of, the current regulatory environment," a spokesperson for American Express told Australian Business Traveller. "People can continue to enjoy American Express service and rewards programs through taking up a credit card with us directly or with one of our other bank partners." 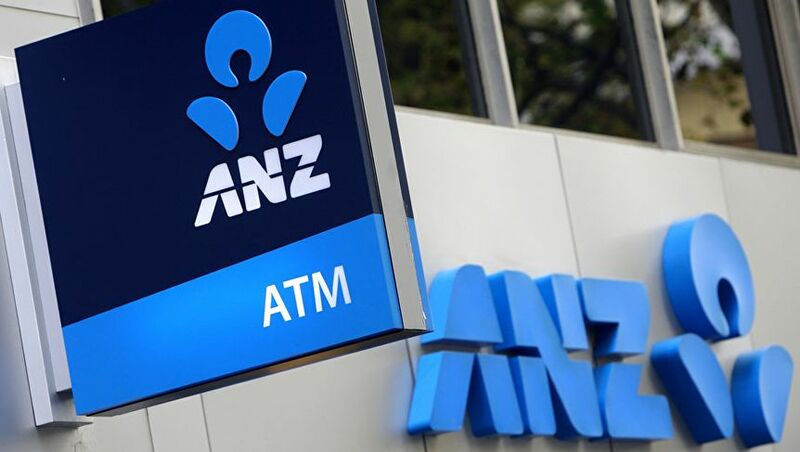 An ANZ spokesperson confirmed that the move comes as a "response to new card payment regulations being introduced later this year." ANZ, American Express part ways: what happens now? If your wallet currently wields an ANZ American Express card, you’d be wise to make a list of any direct debits currently in place on that card such as for bill payments, health insurance, tolling accounts, gym memberships and other recurring expenses like Netflix, Stan, Tripit Pro or ExpertFlyer. That’s because you’ll need to shift all of those payments to a different card by mid-year to ensure your regular payments remain up-to-date, as all existing ANZ AMEX cards will no longer be accepted for purchases from August 5: even if the expiry date shown on the card is beyond that date. This also applies to other systems which store your card details for regular transactions such as Uber, PayPal and Apple Pay, as trying to use your ANZ AMEX card beyond August 5 will see a declined transaction. "We are writing to customers about these changes to give them plenty of time to understand them and consider any impacts to their card use, especially if they have direct debits set up on their American Express card," an ANZ spokesperson told Australian Business Traveller. Also of note, access to the American Express lounge at Sydney Airport currently requires an ANZ Rewards Black or ANZ Frequent Flyer Black American Express – so with these cards being withdrawn, this existing benefit will follow suit. Apply for a new ANZ Visa credit card from today and you can earn points on eligible purchases at the following rates. ANZ Frequent Flyer Black Visa: Earn one Qantas Point per dollar spent up to $7,500 per monthly statement period, then 0.5 Qantas Points per dollar spent on any further spend until the beginning of the next statement period. ANZ Frequent Flyer Platinum Visa: Earn 0.75 Qantas Points per dollar spent up to $3,000 in each monthly statement period, then 0.5 Qantas Points per dollar spent thereafter. ANZ Frequent Flyer Visa: Earn 0.5 Qantas Points per dollar spent on the first $500 of monthly spend, then earn 0.25 Qantas Points per dollar spent on all further purchases in the same statement period. ANZ Rewards Black Visa: Reel in two ANZ Rewards points per dollar spent until August 5 2017. From that date, cardholders will earn two ANZ Rewards points per dollar on the first $5,000 per statement period, then one ANZ Rewards point per dollar spent thereafter. ANZ Rewards Platinum Visa & Rewards Travel Adventures Visa: Earn 1.5 ANZ Rewards points per dollar spent until August 5 2017 – after which, that earn rate applies to the first $2,000 charged each month, with 0.5 ANZ Rewards points earned per dollar spent thereafter. ANZ Rewards Visa: Accrue one ANZ Reward point per dollar spent until August 5 2017. Then, earn one ANZ Reward point per dollar spent up to $1,000 per month, with 0.5 ANZ Rewards points earned per dollar thereafter. For the time being, existing ANZ cardholders can continue to earn points on both their American Express and Visa cards at their existing rates, but will transition to the new rates above for Visa spend from August 5 2017. There’s no change to the conversion rates from ANZ Rewards to the bank’s airline partners of Virgin Australia (2 ANZ points = 1 Velocity point), Cathay Pacific (3 ANZ points = 1 Asia Mile), Singapore Airlines (3 ANZ points = 1 KrisFlyer mile) and Air New Zealand (2 ANZ points = $0.01 in Airpoints). Ouch! Those earn rates are poor... down to 0.25 per $1 on some spend. That's a poor decision. They have one of the AMEX rates too. ANZ have lost my business. Same here. Will be closing that card account. Not really. They had co-branded Amex cards well before Apple Pay existed. The ANZ Apple Pay agreement didn't have anything to do with Amex. They have Apple Pay on Visa as well. It's not "thinking that", it's fact. The four big banks had co-branded Amex credit cards before Apple Pay even existed (globally, not just Australia). ANZ specifically had Amex cards in 2009, maybe even earlier. So the reason Amex and ANZ "got together" back then was definitely not to get early access to Apple Pay! This is more than annoying it's very inconvenient, imagine how many hundreds of house (thousands?) around the country will be wasted now by people having to change what credit cards they use for various periodic payments, etc. Let alone that they're taking away a reason many of us would have signed up for an ANZ credit card in the first place. The latter issue I can see some justification for. I'II be looking for a new deal, ANZ you just shot your foot off. I wonder if other major banks will follow suit? This is exactly what I was thinking reading this as I completed the Westpac credit card survey regarding points and AMEX cards. I am fine with WP dumping Amex and revamping their point system because business..., however, doing so will render the 395$ annual fee unreasonable. Having only had my ANZ Black Rewards VISA and AMEX for a short while I am really miffed at this. They had better drop their fees to better match the lower earning rate. Totally disgusted with ANZ that they have not communicated any of this to their customers! haven't they heard of email? Poor decision by the ANZ. People are very loyal to MX and have no loyalty to banks! People will quickly move to MX direct or through another bank! In some ways a pity but expected since the RBA busybody started interfering. Not too upset since the FF Black isn't too bad, though my annual European trip in J may need to be paid in two dollops. Basically more convenient to have one, though it's bad luck I gave up my regular Amex which was fee-free for life (though extra cost for rewards). What do I do now? Retired on a part pension and earning less than $30k. Chances of me qualifiying for a new credit card elsewhere is zero to nothing. Only have my Woolworths card now, and points earning on that is limited. After my phone call today to ANZ (who initially had no idea this was happening) where they advised that the $425 annual fee would remain - for a 1pt per $1 Visa... I confirmed my swift departure before the annual fee anniversary. I'm not sure why everyone is shocked or surprised. The extinction of Amex companion cards has been widely expected to occur mid this year and ANZ is simply just the first bank to announce it. They won't be the last. Westpac based on their survey a while back is going to do the same thing. People should get upset at the RBA since this is their doing. Spot on, some people just cant help but whinge about anything. There's absolutely no reason to blame ANZ for this change. The RBA decided that regulation of American Express companion card interchange was required. Given the RBA cannot apply the same thinking to American Express-issued cards, this shows the stated benefits to the consumer and to businesses to be completely false. There was zero need for these RBA-mandated changes to be made. The RBA Payment Systems Board need to be disbanded and all those who contributed to this farce dismissed. This move to cancel Amex was predicted and strong suggestion all banks will follow. I'm sure Amex are now expecting an influx of new applications! They seem to have lost the plot these days - even car finance took over two weeks for approval when the dealer came through with a better offer we told ANZ not to bother. Looks like we will be moving our banking elsewhere in the near future, been with them nearly 17 years! I just rang the ANZ bank and they would not confirm this change. They wanted to know where I got this information. They said I will be informed if or when a change occurs. This concerns me as I have flights booked after the supposed shut down date, with this card. What happens about the travel insurance do I loose that, and also this platinum card is our main source of Qantas frequent flyer points.We stand to loose quite a few perks if this goes ahead.What else is out there we could go to. The account is not shutting, just the Amex being removed. I would suggest the travel insurance still applies if you met the conditions to purchase the trip with the card, and you have not closed the account. I will need to reconsider after 30 years with ANZ cards and serious personal spend per month. Which is about the same period I have avoided Amex as a direct card. Time to re-evaluate. Time to reconsider indeed. I already did ahead of these changes given it was clear they were going to happen. I have an Amex Qantas Ultimate card now too (since early Feb) and Amex just announced this week that the points structure will change for this card from July 1st. It now more or less equals the ANZ Black Amex and others (such as Westpac Black Amex) so I'm happy I got it. I will lose out on some of the big bonus points it currently gets (such as on restaurants, airlines, accommodation) but the base earn is now 1.5 points making it a direct replacement for companion cards. NAB have also just announced the Mastercard linked to their rewards scheme will change to a VISA in April. Lots of changes happening! Ouch.. just got my snail mail. Rang them and was told to call back in August, as there may be more news.. well, could use that news now, before i start rallying for a new card provider.. who's going to give me 1.5 pts on visa with no fees? takers? No, that's not possible with any bank in Australia, but you can always convert your ANZ Rewards points into frequent flyer points with Virgin Australia, Singapore Airlines, Cathay Pacific and Air New Zealand. Comment on "ANZ stops issuing American Express credit cards"